The Washington Post.com has an article written by Zachary Goldfarb detailing the highlights from President Obama’s lengthy (18 web pages) interviews with New Yorker magazine editor David Remnick. The interviews cover a number of different topics. If you are a supporter of the President, you definitely want to read these series of interviews. I find the President to be consistent if you are honest in your assessment of him. By that I mean, if you accept that Barack Obama is a politician first, and you realize what politicians say and do, then you are not likely to be shocked or surprised by what you read. This is an interesting comment. The President thinks that the color of his skin “might” affect how some Americans perceive him. “Might?” Race is always a factor. Another factor why some Americans may have soured on President Obama is that he’s been in office for almost 6 years and for many Americans, especially, Black Americans, they have not seen any significant improvement in the areas of creating jobs, reducing unemployment and affordable healthcare and the environment. It’s not like the President can wave a magic wand and make these things disappear. There is a complicated process called our system of government that has not been very cooperative with this President. I’ll just leave it at that. The President in my view has a trust issue. Look no further than the incidents with the NSA, IRS and the Affordable Healthcare Act aka “Obamacare,” Iran, Afghanistan, Syria, etc. Barack Obama has been our Black President for over 5 years. People have had plenty of time to give him the benefit of the doubt or sour on him. Sure, there are some people that criticize him because he is Black and others who blindly support because he’s black. There are also people who have a problem with the President making speech after speech after speech telling Americans that they can keep their doctor and their current health insurance, only to find out that was not true. POTUS has been getting some bad advice on a number of high profile issues. President Obama’s approval rating among all voters is 39 percent and his disapproval rating is 53 percent, according to a Gallup Poll conducted Jan. 14 to 16. In the 2012 presidential election, Republican candidate Mitt Romney won 59 percent of the white vote, compared with Obama’s 39 percent, according to exit polling by a consortium of major news outlets. President Obama won 43 percent of the white vote in 2008 against 55 percent for opponent John McCain. The President said he is most concerned about the impact of drug laws on minorities and the poor. “Middle-class kids don’t get locked up for smoking pot, and poor kids do,” he said. “And African-American kids and Latino kids are more likely to be poor and less likely to have the resources and the support to avoid unduly harsh penalties.” He added that he supports Colorado and Washington’s efforts to “go forward” with their efforts at legalization and decriminalization. Click here to visit New Yorker.com and read the entire article. Hey Buddy!, I found this information for you: "17 Highlights from the New Yorker’s Profile on President Obama". 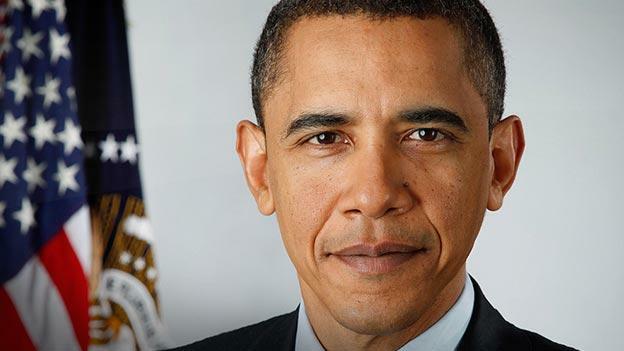 Here is the website link: https://blackmeninamerica.com/17-highlights-from-the-new-yorkers-profile-on-president-obama/. Thank you.